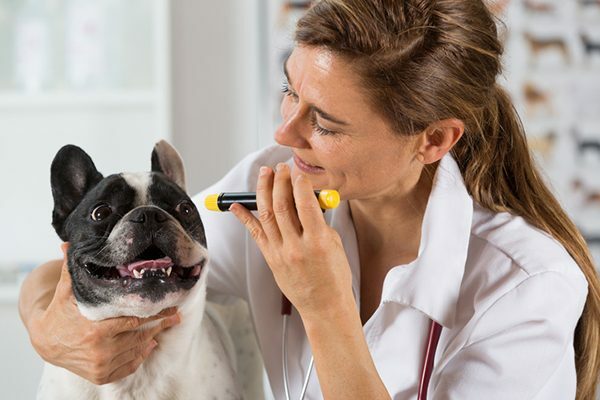 The post Dog Eye Discharge — What’s Normal and What’s Not by Jackie Brown appeared first on Dogster. Copying over entire articles infringes on copyright laws. You may not be aware of it, but all of these articles were assigned, contracted and paid for, so they aren’t considered public domain. However, we appreciate that you like the article and would love it if you continued sharing just the first paragraph of an article, then linking out to the rest of the piece on Dogster.com. Have you ever wondered if your dog’s eye boogers are normal or not? A dog’s eyes can leak and tear for many reasons, some of which are normal and some of which are not. Tear stains are unsightly, but more importantly, dog eye discharge might indicate a problem that requires vet attention. According to Beth Kimmitt, DVM, resident of ophthalmology at Purdue University’s College of Veterinary Medicine in West Lafayette, Indiana, a dog’s eye is always producing tears, and these tears typically drain at the corners of the eye. “Technically, a normal eye should not have any ocular discharge, but a small amount of clear discharge may be OK,” she tells us. Clear dog eye discharge might look brown and slightly crusty when it dries. Sometimes, dog eye discharge requires a vet visit. Photography by fotoedu/Thinkstock. This type of dog eye discharge means it’s time to visit the vet. If your dog has colored green eye discharge, yellow eye discharge or another colored eye discharge, schedule a vet appointment immediately. Other signs of a potential problem include squinting, a red-looking eye, or if your dog is rubbing or pawing at his eye. If you think something is wrong with your dog’s eye, don’t wait too long to make that vet appointment — his eyesight could be at risk. Abnormal eye leakage might signal a dog eye infection or other issues. “The presence of ocular discharge is a non-specific sign,” Dr. Kimmitt says. “This means that it can be caused by a variety of ocular disorders. Common causes of dog eye discharge include ulcers, entropion, keratoconjunctivitis sicca and conjunctivitis (allergic or bacterial).” A corneal ulcer is damage to the cornea, which is the clear membrane that covers the iris and pupil. Entropion is a condition in which the eyelid rolls inward, causing eyelashes to rub against the cornea. Keratoconjunctivitis sicca (called dry eye) is dryness of the conjunctiva, which is membrane that covers the white part of the eye. Conjunctivitis (sometimes called pink eye) is inflammation of the eye. A vet exam and tests can pinpoint the cause of your dog’s abnormal eye discharge. Certain breeds are prone to dog eye discharge. Brachycephalic dog breeds like Pugs and Boxers might have slightly more eye leakage than other breeds due to the combination of a short nose and large, round eyes. In these breeds, some dog eye discharge might be normal, especially if it’s clear, but abnormal dog eye boogers deserve a vet visit. Poodles and Cocker Spaniels are more prone to blocked tear ducts, too. Usually, these ducts drain the tears from your dog’s eyes out through the nose and back of the throat. With the tear ducts blocked, there’s nowhere for the tears to drain, so they spill over the eye rims and run down the face. If you see brown tear stains, it doesn’t necessarily mean something is wrong. “Dogs with white hair coats (like Maltese, Poodles, etc.) might show the discharge easier than other colors,” Dr. Kimmitt says. You can help minimize dog tear stains by wiping the under-eye area frequently and keeping it as dry as possible. You can also try one of the whitening products sold specifically to help with tear stains. It’s important to keep your dog’s eye area clean. “A soft, wet cloth can be used to gently wipe away the discharge,” Dr. Kimmitt advises. You can also use a veterinary eye cleaning product to combat dog eye discharge — just make sure it doesn’t contain any alcohol. Can You Use Human OTC Eye Drops as Eye Drops for Dogs?